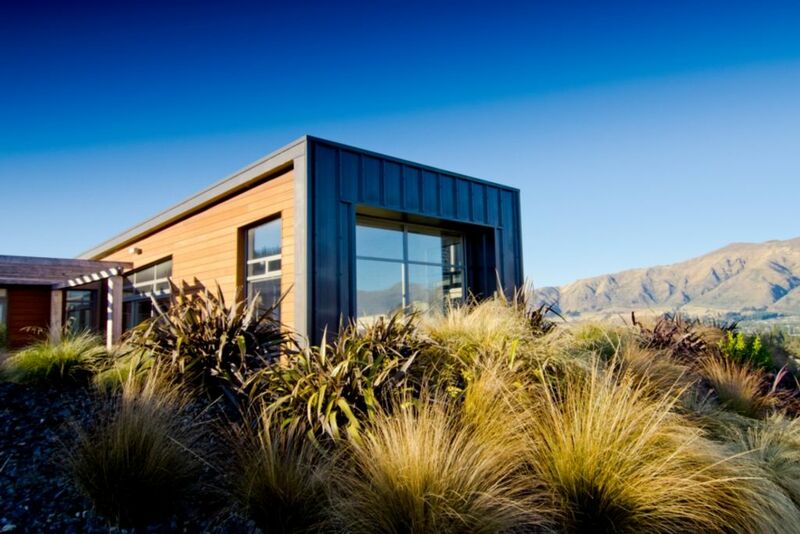 Designed by Parker Warburton this architecturally designed luxury home offers spectacular uninterrupted mountain views over Lake Wanaka and up to Treble Cone, NZ's premier ski resort. Check Youtube Treble Cone amazing powder snow published on July 8 2013...we are not allowed links in this content. Somewhat different to many other lodgestays we pride ourselves on ensuring the house is ready for you on your arrival, the beds made in quality linen, the house clean and for every stay over 6 days a welcome pack including breakfast goodies, local wine and introduction by your local host...we try and make sure everyone enjoys their stay ! Completed in September 2010 this highly appointed house has 4 bedrooms, 3 bathrooms and 2 living spaces, all with breathtaking views over Island View place to the lake and mountains beyond. Open plan living for the kitchen, dining, lounge.... leading out to 2 terraces, one with outdoor BBQ and fireplace. Perfect for entertaining or absorbing the view. The dark Movie room has everything for the big and small kids alike... Wide screen TV, Surround Sound, DVD, Playstation, Eyetoy and Sky TV. 2 mountain bikes available for use. It is a short walk to the lake front. Drenched in sunlight this warm house has underfloor heating and an indoor fireplace. Experience perfect indoor / outdoor living with all the adventure that Wanaka offers. If interested please send email enquiry. Discounts may apply depending on season and length of stay. Pool and Spa facilities on site. Fibre broadband.